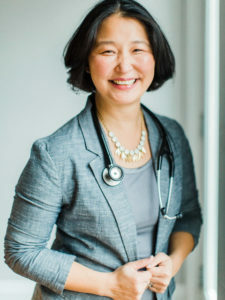 Janice Wu is a licensed naturopathic doctor, birth doula (professional birth assistant), Certified Strength and Conditioning Specialist® and Stott Pilates® instructor. Janice’s goal is to help couples transition seamlessly into parents, or families transition into larger families. She applies a simple, yet thoughtful approach to her practice, combining elements of her education and experience into developing thorough, yet realistic treatment plans for all her patients. Eating nutritious food, practicing a healthy lifestyle and botanical (herbal) medicines are the foundations to her practice. Janice loves working with all age groups, but in addition to her work with expecting families, she has a special interest in treating children and athletes. Janice is a graduate of the University of Toronto (Bachelor of Physical and Health Education [Kinesiology]) and Canadian College of Naturopathic Medicine. When she is not helping families transition into larger families, Janice can be found outdoors enjoying the sunshine and trying to keep up with her three young children, or in the kitchen re-imagining leftovers into a Instagram-worthy dish. Birth doula services at Toronto Centre for Naturopathic Medicine are covered by most extended healthcare plans.